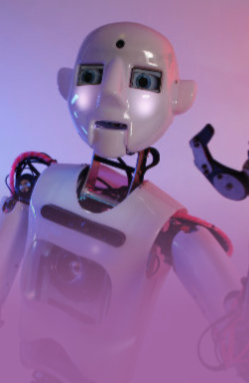 CLICK ABOVE to see our robot on the big screen! 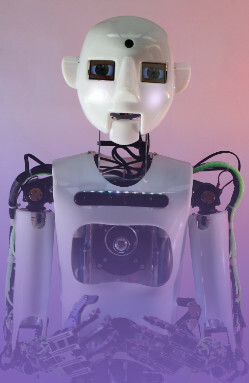 Our humanoid robots specialise in engaging with and entertaining your guests. Stand out from the crowd and get one of our robots to do the work for you! Just look at our movie on the link above. 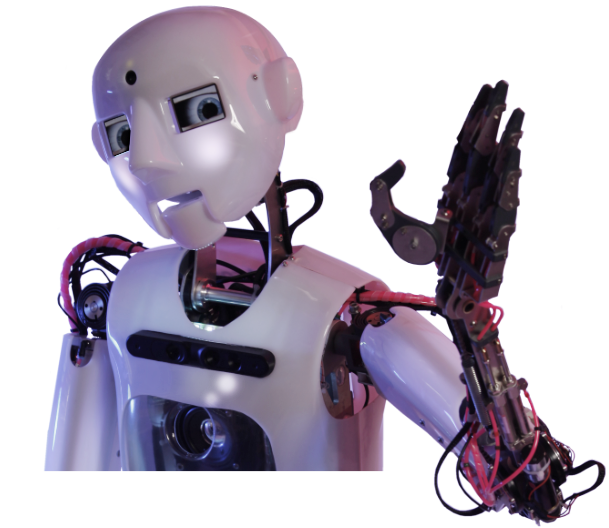 Perhaps you want a robot in your movie? 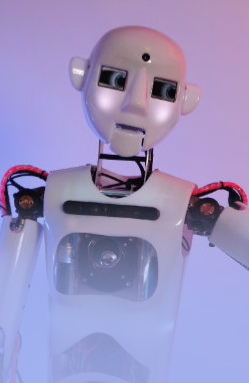 Perhaps our robot symbolises the technology you offer – let it speak for itself! Our robot family is made up of four unique characters, each one available for hire. 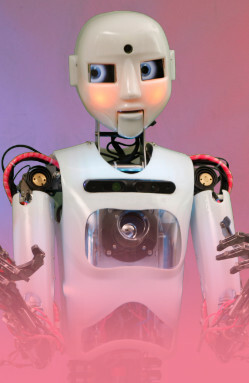 These life-sized humanoid robots are in their element when engaging and entertaining your customers. Once they’ve grabbed their attention (which they will! ), they’ll even talk about your business and what you have to offer. 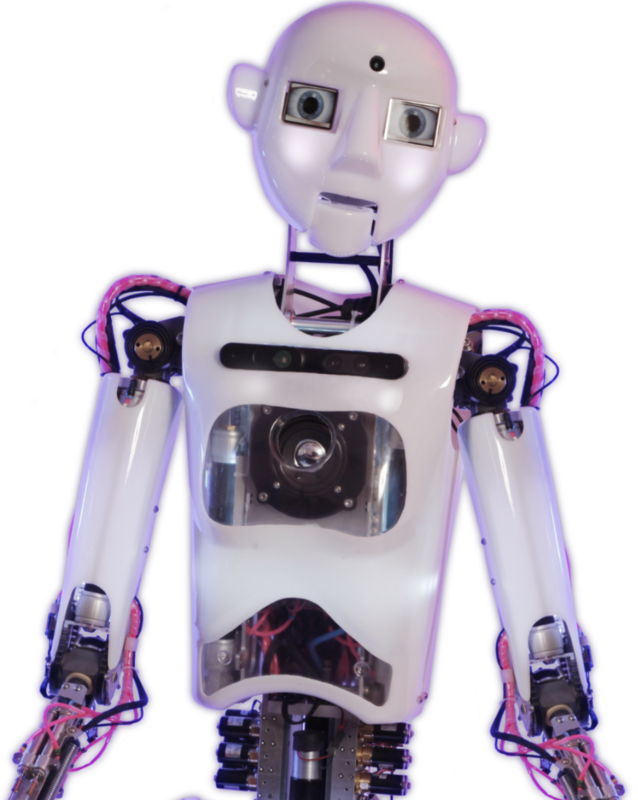 Our robots can be utilised in many ways such as welcoming guests at the door, delivering unique speeches, interacting with keynote speakers on stage, engaging with your audience and creating unforgettable experiences at your trade stands. Their marketing skills are something to be desired. Their intangible power of grabbing all the attention and becoming the focus of your trade show and social media presence is why you should get in contact with us. Do check out our Instagram page where you’ll see how we not only get people into your booth, but in most cases also attract the attention of the event media too. For more technical info, please click on the link below and check out our Technical Features page.